Phones like the Xiaomi Mi Mix and ‘soon to be announced’ Galaxy S8, Galaxy S8 Plus, and the iPhone 8 have one thing in common; a very high screen-to-body ratio. Looking at this trend, it looks like the founder of Android has a similar phone in mind to announce, as suggested by the latest teaser. With curved corners and a bezel-less form factor that is similar to Xiaomi’s Mi Mix, it looks like Andy Rubin might give us the best possible surprise ever. If you take a closer look at the teaser, the battery, network, and time details can be seen from one corner of the phone, which means that even the top part of the device is expected to have a very small percentage that is not covered by the screen. Samsung’s Galaxy S8 will have a metal portion placed at the top and bottom to accommodate a speaker grill and front camera. With this phone, I am expecting that while a speaker grill might not be present, we might still see a piezoelectric speaker present underneath the hood, which vibrates in order to transmit sound. When you use a piezoelectric to listen to the person on the other end, it sounds as if they have the loudspeaker option enabled, but that does not mean the device sounds any less clear to phones that feature a speaker grill. 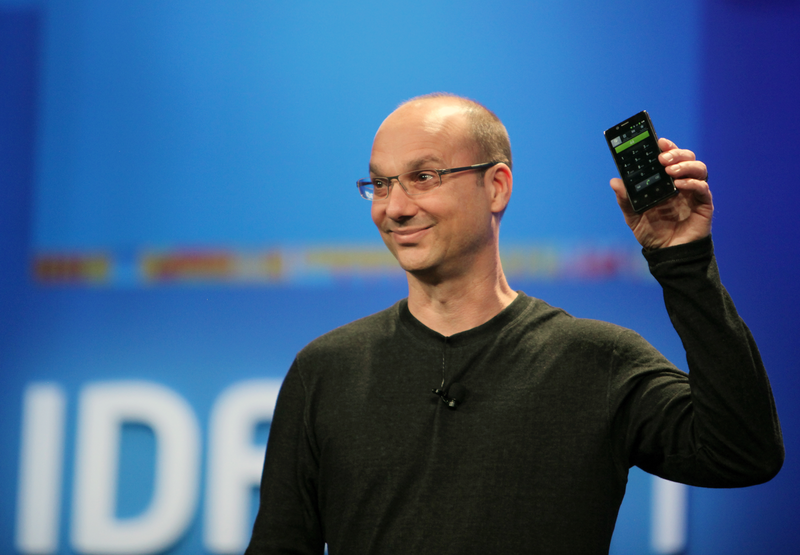 Andy Rubin definitely appears to be proud of this product and while we have no clue what it is going to be called, we certainly hope that it packs better hardware as opposed to the Obi phone lineup. If Rubin is going to be targeting the higher spectrum of the smartphone market, then we will be curious to see what sort of pricing strategy he uses in order to boost sales. Our wish list from the phone is that it features a decent camera with optical image stabilization and a Snapdragon 835. The final product might differ from what we want though. What sort of elements are you expecting from this bezel-less smartphone? Let us know your thoughts in the comments below.